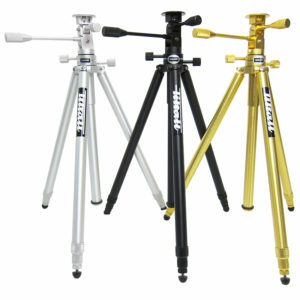 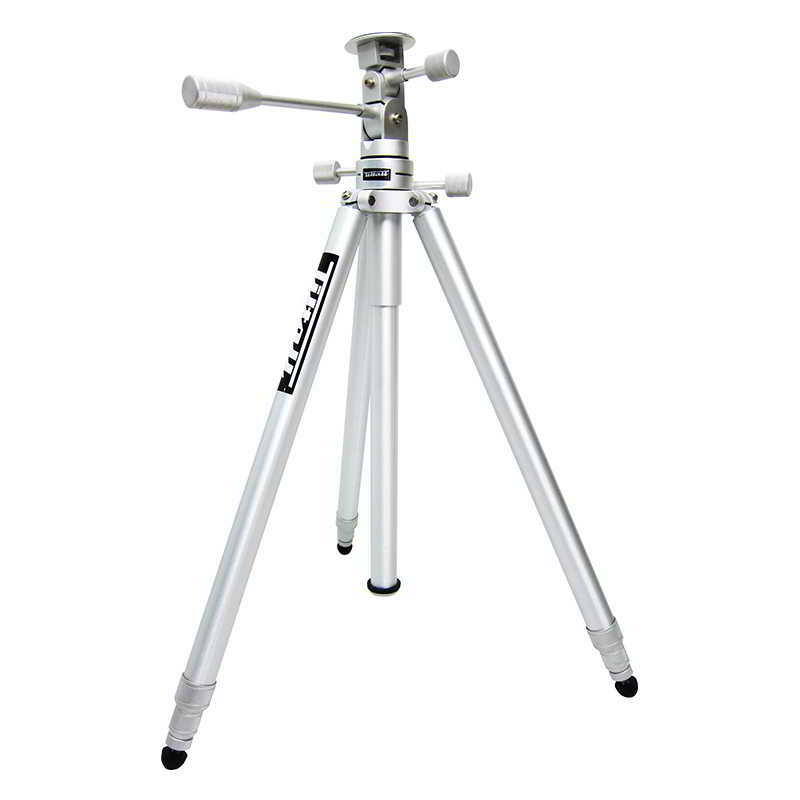 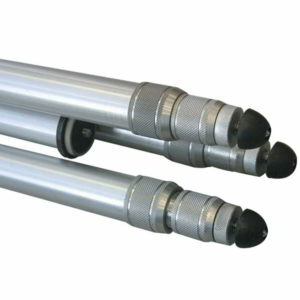 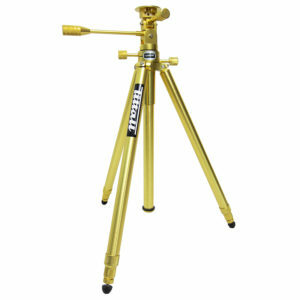 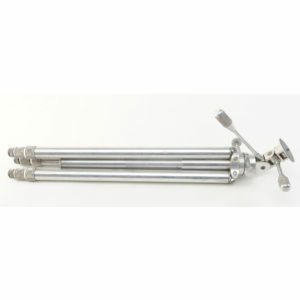 The Tiltall Silver Original Classic Series Tripod TE-01S with 3-Way Head. 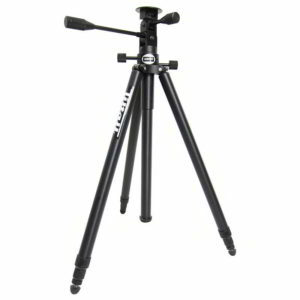 it has a load capacity of 44 lb, which can support cameras from DSLR and 35mm up to large format. 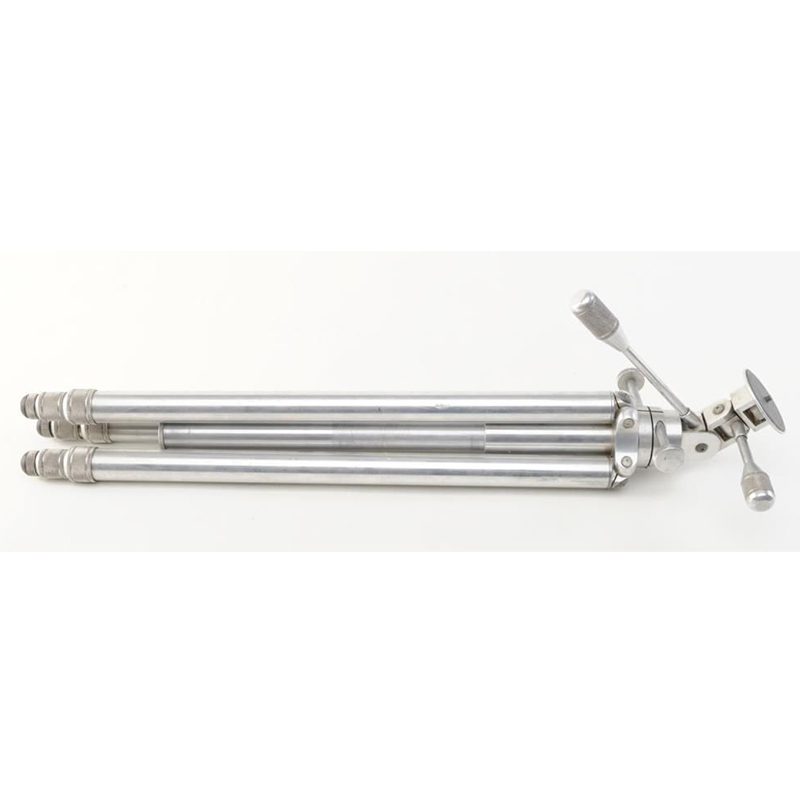 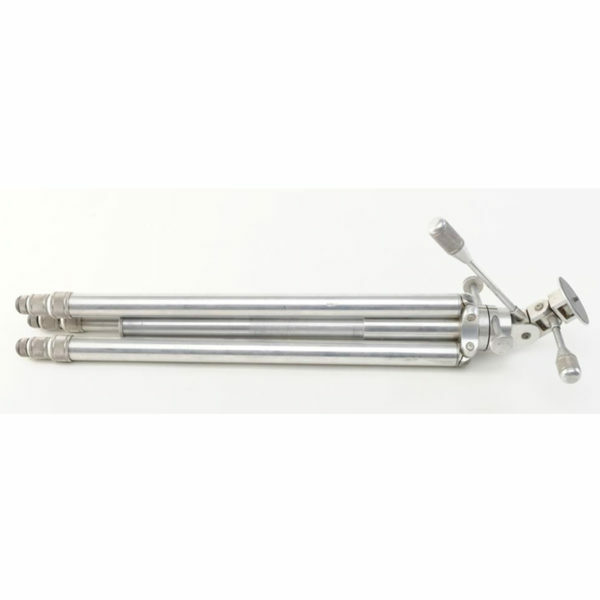 The tripod can extend to a maximum height of 74″ and go as low as 28.5″.The 3-section tripod has twist locks for leg extension and adjustable stainless-steel spiked feet for a more secure grip on uneven terrain. One of the legs is detachable and can be converted into a monopod. 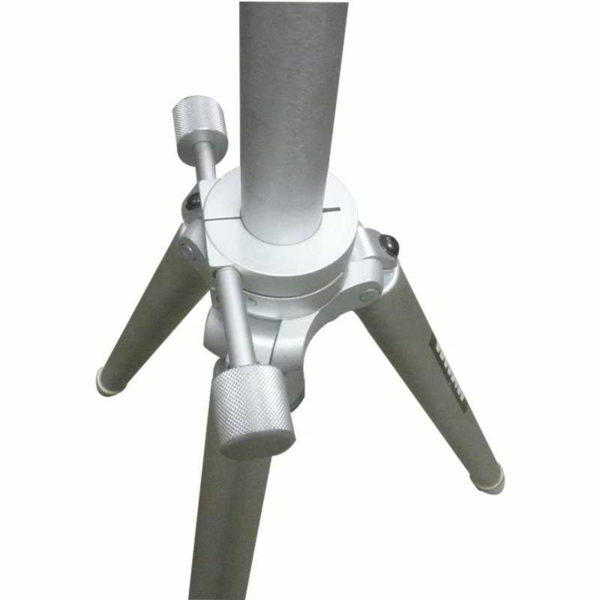 Both head and legs are constructed from aluminum and have been anodized. 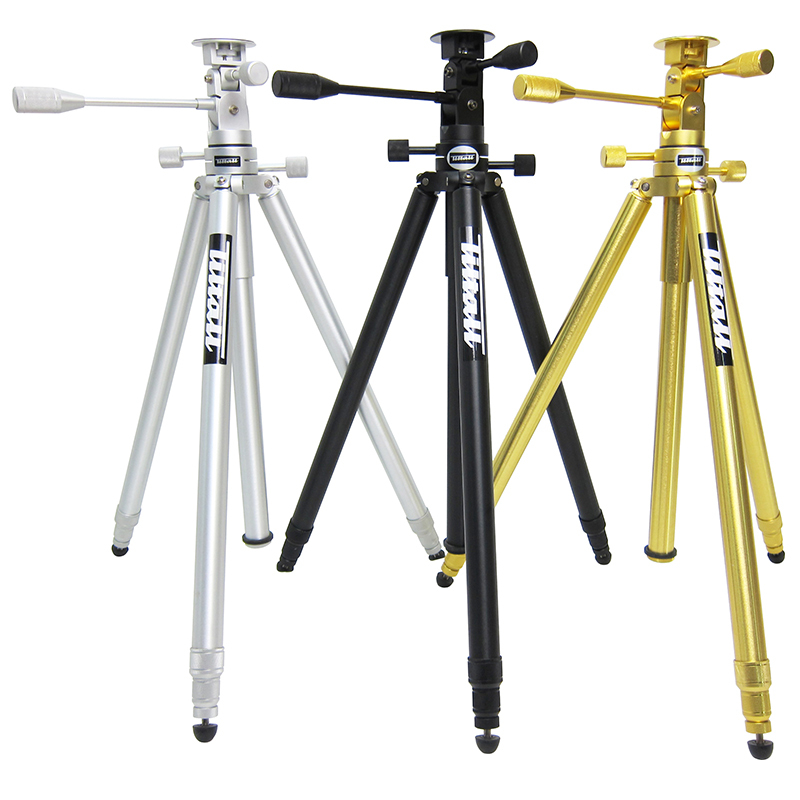 The 3-way pan and tilt head has three separate independent locks and has a 1/4″-20 camera fitting.Twist locks.Rubber feet with adjustable stainless-steel spikes.Removable leg converts into a monopod.Anodized gold finish.Carry bag included. Tiltall original classical tripod TE-01 had a lot of beautifully intergrated words since 1946. 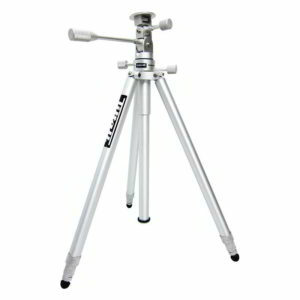 It is made with characteristically pervasive quality at every parts.You can easily find from many professional photographers.